The kids were playing in the living room when the phone rang in the kitchen. I picked it up and held it tight to my ear, with my hand over the other ear to block out the chaos. So that evening, I told Ralph that I needed to go to the school board meeting. 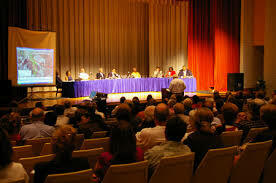 I had never been to a school board meeting. At that time in my life, I hated standing before a group of people to speak. The meeting was crowded, but I signed up on the list to speak before the board. Then I sat down. I felt sort of bad because I had said true things about my son, making him look bad. But I put aside my personal feelings in order to convince the school to keep Ms. Smith on as a full time teacher. She retained her job. I did notice that the school board member’s son was in the morning kindergarten class and Will was in the afternoon class. Nevertheless, Ms. Smith was an excellent teacher for him, and he thrived in that classroom. Other students in our district also benefited from our interference. After this I interfered in other public matters. I went on to attend and speak at public comment sessions when the state tried to cut funding for special education. I also served on special education advisory committees in our district and in the county. Great things can be done when Moms (and Dads) rise up and interfere. This happened when my son was six years old, 20 years ago. That level of raw honesty in the interest if what is best for our children is precisely what is, and has always been, needed. I’m glad you are writing about your efforts; it inspires me to keep fueling my own.